The termly elections for positions on the Oxford University Conservative Association took place on 2 March at The Mitre. Harrison Edmonds, of University College, the Secretary in Hilary, was returned as President-elect. He secured 121 votes, giving him a 10 vote lead over his opponent, Wojciech Woźnicki of Christ Church, lately the Political Officer. In his manifesto pledge, Woźnicki presented several “ideas on how we plan to make OUCA into a better, more open and accessible student society”. He would have introduced a wider range of speakers and a new speaker event called ‘Grill a Tory’, alongside career advice speakers from the Civil Service and GCHQ. Electronic accounts were another idea, and he would support campaigns trips to marginal constituencies and local soup kitchens. He would have also abolished awarding “activist points” for activities with an entry fee of £5 or more (a minimum of these points are required of any person running for a position). Contests at that level are relatively unusual. During campaigning, two slates emerged. Woźnicki secured the support of Angus McNeill Peel, Publications Officer for Hilary, who was returned unopposed as Treasurer-elect; Matthew Burwood, currently the Whip, was similarly returned as Political Officer. Hannah Mooradian, who is on the committee and ran for Secretary, managed to win 86 votes but lost to Isabel Corbin by 42 votes. Alice Love Twelves (54), Ed McGovern (74), Ryan Tang (109) and William Rees-Mogg (76) ran for Junior Officer; only the latter two were successful. However, Woźnicki’s slate did well at committee level, where all four of those running on it won seats: Conrad Bannister (88), Yi Cheng (63), John Rayner (70) and Peter Saville (103). Edmonds ran on a smaller slate which included Isabel Corbin, who was elected Secretary, and Philip Fiúza, who secured a position as Junior Officer with 111 votes. However, Harrison was less successful at Committee-level, where two of the four candidates on his slate were elected: Altair Brandon-Salmon (81) and Jacob Chatterjee (112). The other two, Alexander Curtis and Kyle Perez secured 46 and 24 votes respectively. As we enter Trinity, two other political developments are worthy of note: the current President of OUCA, George Walker, has been nominated for the Holywell ward in Oxford City Council’s upcoming elections. Alex Curtis of St Catherine’s has been nominated for Carfax. He had previously been a town councillor in his native Ware, Hertfordshire. Co-chairs: David Parton (St Hilda’s) and Eleanor Ormsby (Balliol); Co-chairs- elect: Tom Turner (St Catherine’s) and Tom Wadsworth (St John’s; also Disabled Member’s Officer); Treasurer: Lucas Bertholdi-Saad (Wadham); Secretary: Katie Oldham (Wadham); Women’s officer: Ella Taylor (Regent’s Park); Women’s officer-elect: Sophie Corke (Hertford); Publicity officer: Anna Rehfisch (Hertford); Membership officer: Dan Illey-Williamson (Queen’s); Campaigns officer: Louis McEvoy (Christ Church); Social Secretary: Jacob Armstrong (Wadham); LGBTQIA+ officer: Iris Kaye-Smith (Pembroke); BAME officer: Aiyan Maharasingam (Hertford). The current membership officer, Dan Illey-Williamson, is also contesting the Holywell ward in Oxford City Council’s upcoming elections. OULC was put under the spotlight in national news last term after one of its Co-Chairs, Alex Chalmers, resigned. His letter alleged that the club was becoming “riven by factional splits” and that some members had openly used anti-Semitic slurs. Amidst considerable press coverage, the Labour Party announced it was launching an internal investigation. According to an article published online by the Jewish Press on 20 March, the Disabilities Officer, Brahma Mohanty also resigned, claiming that the club forced members to “subscribe to a radical ideology of division and isolation”. He continued: “I cannot in good faith carry out my duties in promoting access and engagement with a club that I feel is projecting itself in the complete opposite manner”, suggesting that diversity and access do not appear to be part of “an ethos shared amongst the OULC body”. The Club has formerly issued a statement saying that “we are horrified at and condemn anti-Semitic behaviour in all its forms.” The Parliamentary Labour Party is carrying out an investigation, headed by Baroness Royall, formerly the party’s Shadow Leader in the Lords. According to its Twitter page, the University’s Liberal Democrats held their termly elections on 2 March. 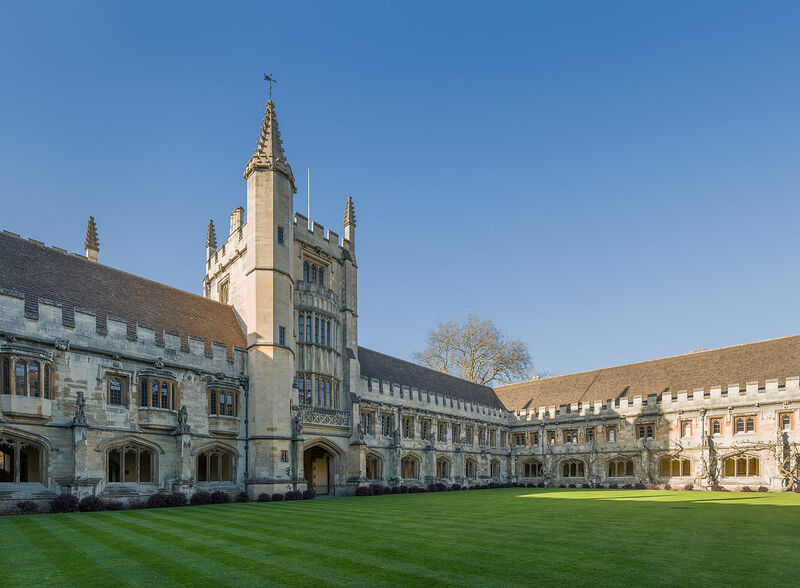 Lucinda Chamberlain of Brasenose will be Senior Co-Chair and President for this term; as The Oxford Student reported, she was elected junior co-chair for Hilary, but took over the senior role after Gareth Wilkes resigned in February. The retiring Executive Committee members were: Jack Ford (Junior Co-Chair); Harry Samuels (Treasurer); Anne Cremin (Secretary); Alex White (Spirits Officer); and Jamie Lagerberg and Louise Kandler (committee members). Samuels’ election means that he is set to be Senior Co-Chair and President in Michaelmas. He served as Treasurer for the last two terms and is also a Vice Chair at Liberal Youth, the Liberal Democrats’ youth wing, and the party’s candidate in the upcoming elections for Oxford City Council’s Carfax ward. Former OULD President Andy McKay is standing for the Holywell ward. Was it worth a referendum?